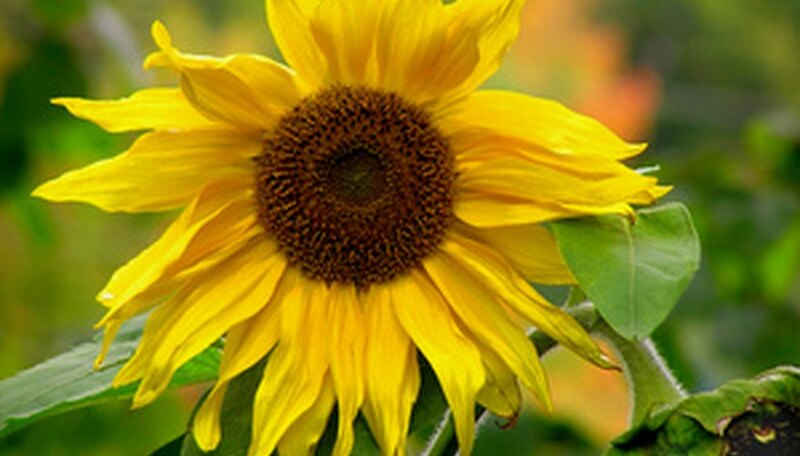 Sunflower seeds are actually the fruit of a flower, and they can easily be harvested after the flower has fully bloomed. It’s important to only collect sunflower seeds once they have fully matured. You must also take the proper precautions to protect your seeds from birds and other animals. After removing the seeds, you can store them and use them as an ingredient for several recipes. The kernel of the seed can also be a healthy snack you can eat at any time. Allow the seeds to finish maturing by leaving the flower head in a dry place that is well ventilated. After three to five days, the ray flowers will fall off the head and the seeds will be even more visible. Cover the head with a paper bag or cheesecloth to protect the seeds. Birds will often try to steal the seeds if the head is not covered. Wait for the green disk area on the back of the sunflower head to become yellow. Don’t wait any longer after this point to cut the head off the flower or the seeds may become to dry or loose. Cut the head off the flower using small gardening scissors. Prepare to remove the seeds once the disk on the back of the flower has become dark brown. Place a paper plate or paper towel on your counter to catch the seeds and then rub the head of the flower on another head to cause the seeds to fall. Rub the head of the flower on your palm if there are still seeds remaining, and all the seeds should easily come out. Store the raw seeds in a cloth bag that has air circulation.